Richard Lawrence Garwin (born April 19, 1928 in Cleveland, Ohio) is an American physicist, widely known to be the author of the first hydrogen bomb design. In December 1952, he joined IBM's Watson laboratory, where he worked continuously until his retirement in 1993. He is currently IBM Fellow Emeritus at the Thomas J. Watson Research Center in Yorktown Heights, New York. During his career Garwin divided his time between applied research, basic science, and consulting to the U.S. Government on national-security matters. In parallel to his appointment at IBM, he held at different periods an adjunct professorship in physics at Columbia University; an appointment as the Andrew D. White Professor-at-Large at Cornell University; and a professorship in public policy, and in physics, at Harvard University. He has also been the Philip D. Reed Senior Fellow at the Council on Foreign Relations in New York, NY. Garwin served on the U.S. President's Science Advisory Committee from 1962–65 and 1969–72, under Presidents Kennedy, Johnson, and Nixon. He has been a member of the JASON Defense Advisory Group since 1966. From 1993 to August 2001, he chaired the Arms Control and Nonproliferation Advisory Board of the U.S. Department of State. From 1966 to 1969 he served on the Defense Science Board. He also served on the Commission to Assess the Ballistic Missile Threat to the United States in 1998. He is currently a member the National Academy's Committee on International Security and Arms Control and has served on 27 other National Academy committees. Garwin received of the National Medal of Science, the United States' highest honor for the fields of science and engineering (award year 2002), for "his research and discoveries in physics and related fields, and of his longstanding service to the Nation by providing valuable scientific advice on important questions of national security over a half a century." He also received the equivalent, La Grande Médaille de l'Academie des Sciences, from France for his role in discovering parity violation in pion decay. He is among a select few scientists to have been elected to all three U.S. National Academies: the National Academy of Sciences (elected 1966), the National Academy of Medicine (1975), and the National Academy of Engineering (1978). In 2016, President Barack Obama honored Garwin with a Presidential Medal of Freedom. 1 2 William J. Broad (November 16, 1999). "Physicist and Rebel Is Bruised, Not Beaten". The New York Times. 1 2 Earl Lane (January 17, 2006). "Physicist Richard Garwin: A Life In Labs And The Halls Of Power". American Association for the Advancement of Science. ↑ Edward Teller, Memoirs: A Twentieth-Century Journey in Science and Politics (Cambridge, Massachusetts: Perseus Publishing, 2001), p. 327. ↑ National Reconnaissance Office. Founders of National Reconnaissance (PDF). GPO. 1 2 IBM. 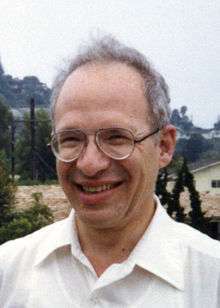 "Richard L. Garwin receives the National Medal of Science". IBM News Release. Retrieved 20 March 2016. ↑ Federation of American Scientists. "The Garwin Archive". ↑ Brennan, Jean Ford, The IBM Watson Laboratory at Columbia University: A History, IBM, Armonk, New York, February 18, 1971. Cf. pp.31-43. "By the end of 1952, Richard L. Garwin, a former pupil of Professor Enrico Fermi, had come to the Lab from the University of Chicago where he had been an assistant professor of nuclear physics." 1 2 National Science Foundation. "Medal of Science 50 Videos -- Richard Garwin". Retrieved 20 March 2016. ↑ National Institute of Medicine. "DIRECTORY: IOM MEMBER- RICHARD L. GARWIN, PH.D.". ↑ National Science Foundation, "Richard L. Garwin", The President's National Medal of Science: Recipient Details.